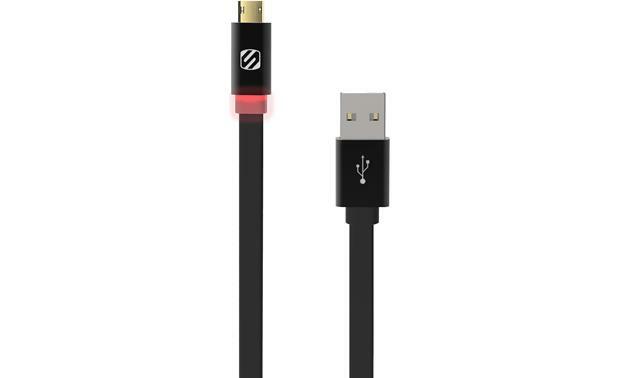 Scosche has put serious thought into something Android™ users fiddle with everyday — the micro USB charging cable. The EZFLN is a more than just a 10" cable for Android devices, digital headphones, portable speakers, and anything else that uses micro USB. Thanks to Scosche's EZTIP™ design, you'll easily plug the cable into your device on the first try, every time — there's just no wrong way to plug it into your device. The EZFLN features a colored LED charging indicator so that you can tell at a glance if your device is fully charged. And the cable has syncing capability as well, if you need to transfer data between your device and your computer. Scosche's FlatOut™ design ensures that you won't be untangling your EZFLN cable for two minutes before you can plug anything in. The cable's available in black or white. 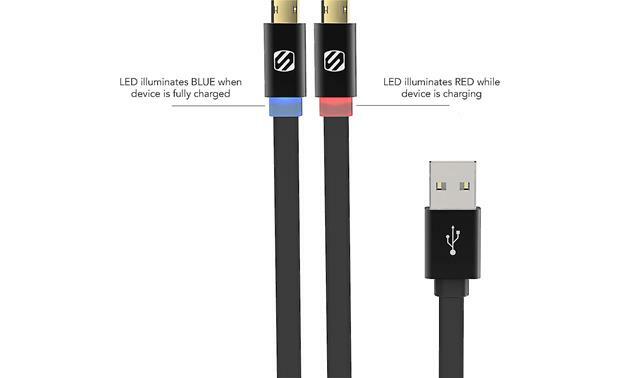 microUSB-to-USB Cable: This reversible micro-USB cable allows users to conveniently and easily charge & sync all standard micro-USB devices, such as smartphones, earbuds/headphones, portable speakers, portable backup batteries, tablets, digital cameras and more. Symmetrical Connector: You can insert the microUSB connector either side up into your mobile device. The new symmetrical connector will eliminate the hassle of worrying about finding the correct side of the micro-USB connector. 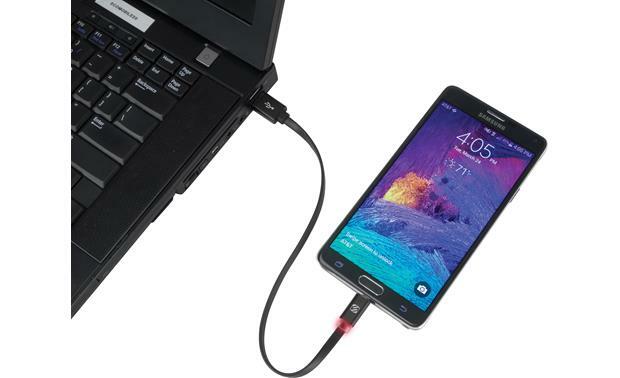 Charge, Sync, & Data Transfer: The Scosche FlatOut LED microUSB-to-USB cable supports charging of your mobile device, as well as data transfer & syncing between your microUSB device and your computer or other USB compatible device. 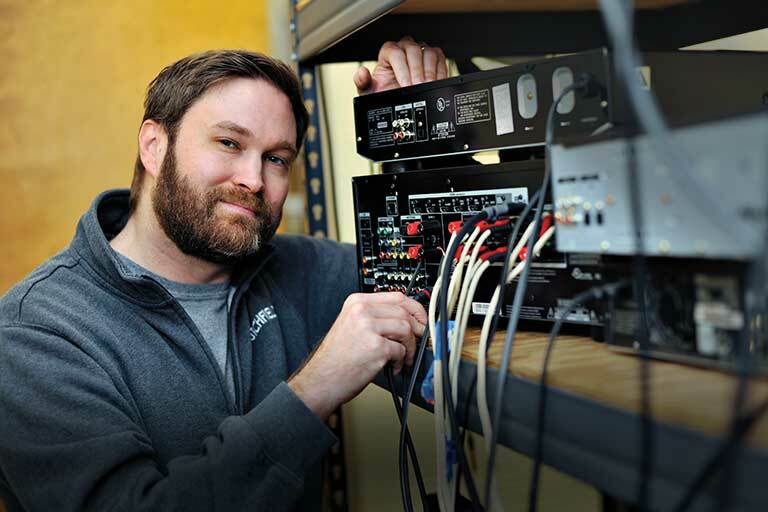 LED Charge Indicator: Know when your mobile device is fully charged with the FlatOut LED. The LED charge indicator pulses RED when charging, and then turns solid BLUE when it becomes fully charged. 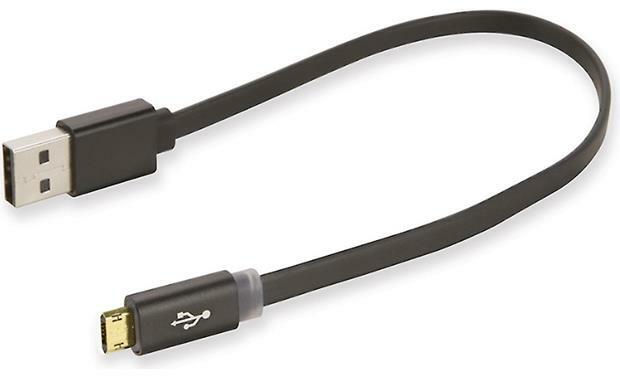 Slim-Tip Design: The microUSB-to-USB cable's slim-tip design allows you to charge & sync your compatible mobile device without removing it from your case. Tangle-Free Design: The flat tangle-free design of the microUSB-to-USB cable helps avoid the dreadful untangling process after storing your cable.